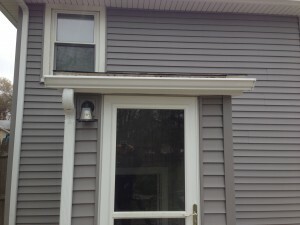 Gutters serve many functions for a home. They add decorative detail to your exterior, while increasing your overhang. They prevent water splash backs and can help prevent snow slides. They also serve to keep basements dry and sidewalks and walkways free of water. Gutters also offer many means to protect your home. By properly channeling water flow they serve to protect foundations, plantings, siding, fascia’s, and the edge of you roof. Did you know your gutters could do all this? In maintaining your home, cleaning your gutters is one of the most important things you can do for your exterior. When gutters are full of leaves and debris that get wet and retain water, they become heavy and get pulled off pitch. As water overflows, it leaks behind the gutter and can travel into your home causing serious damage. Water that does not flow out can stay caught in the gutter debris, and standing water attracts animals. Fresh water, escaping heat, and make shift shelter provide attractive living and visiting quarters for bees, birds, raccoons, bats and squirrels. Your gutters are like a condo for them! Don’t make your roof area more attractive by supplying water at the gutters! Keep your gutters clean, or think about gutter guards to prevent water and debris build up. If you have any questions about our gutter services, please feel free to give us a call at 508-436-6374.